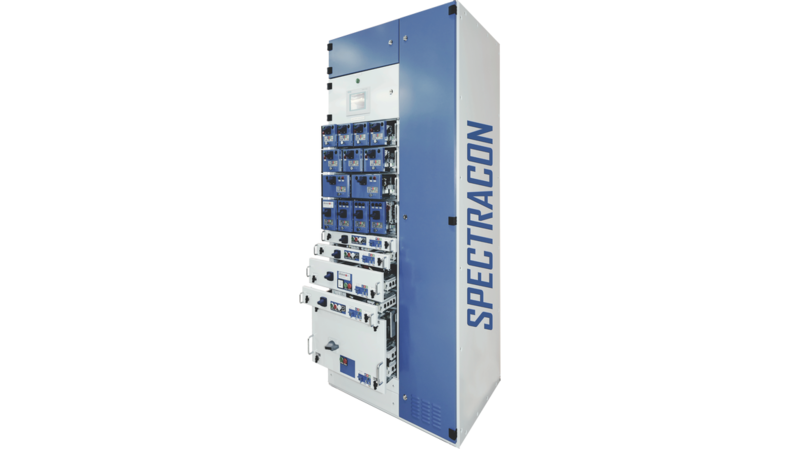 SPECTRACON is an ELECTROTEL concept switchboard (PCC and MCC) max 6300A, a High-end Withdrawable Modular Distribution System, based on an unique/ innovative High Arc Fault Prevention technology, using a German-Romanian research/ development (patent) for "Pressure Contacts". SPECTRACON offers many advantages, granting Safe Functioning and Operator Protection and Safety, comparing to the international well-known systems. Arc Fault Free Zone for the transfer energy between drawers and dropper bars, consisting of. Recommended in high risk areas (explosion, earthquake, vibrations) for: oil & gas, nuclear, mining, marine/naval. Fully Type Tested (TTA) - IEC 61 439-1/2, separately certified with Siemens, ABB, Eaton, Schneider, GE devices.